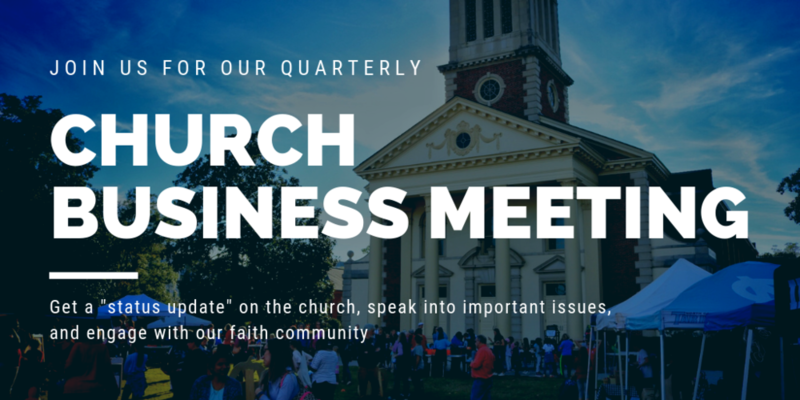 If you’re a member of FBCD or call this faith community home, then you are invited to participate in our quarterly church business meeting. In these meetings, we offer a status update on the life of the church, celebrate and discuss emerging initiatives, as well as give an overview of the overall financial health of the church (money is a tool we’re wanting to leverage responsibly – that’s why we talk about it). There is nothing you need to do to prepare for this meeting, just come on by! Dinner begins at 5:30pm. Note: In the past couple of years, these meetings were held after services on Sundays, but to preserve the spirit of Sunday worship, we decided to move them to Wednesdays – thanks for understanding!